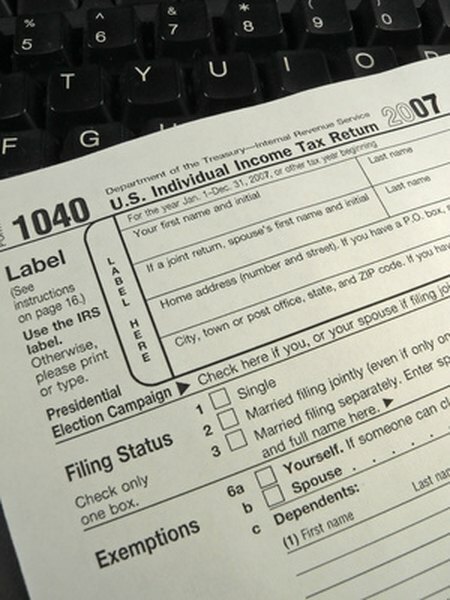 Transfer your rental earnings or loss from Schedule E to Form 1040. As a landlord, you have to disclose your rental income to the Internal Revenue Service. But the U.S. tax code also allows you to claim certain expenses as deductions on your tax return. Report the write-offs in IRS Schedule E, “Supplemental Income and Loss,” which you must file with Form 1040. An accountant is valuable in helping you to figure out how to log your claims. You may claim interest you pay on your rental’s mortgage. If you prepay any of the interest, organize the amounts paid by the year to which they apply. If you pay interest in 2012, for example, for the 2013 year, you cannot claim the expense on your 2012 taxes. Wait to include it in the 2013 return. If you own the rental unit with another investor -- other than your spouse -- deduct only the portion of the interest you were responsible for paying. The IRS says you may deduct “common and generally accepted” expenses related to maintaining and conserving your rental unity, such as cleaning and repairs. These costs exclude the value of your own labor and the price of capital improvements. Capital improvements are additions to the rental or its restoration. Repairs necessary because of normal wear and tear are tax-deductible. Consult an accountant to clarify how the IRS is likely to treat the type of structural work you have in mind for your rental unit. You may take the IRS standard mileage deduction for using your car to conduct business related to your rental property. Different regulations apply if you use a rental car or if you use more than four cars in the operation of your rental business. Consult a tax accountant for clarification if these situations apply to you. If you have to travel because of your investment property, your meals are deductible at a 50 percent rate. You may also write off tolls and parking fees. The U.S. tax code lets you write off depreciation -- the wear and tear of your rental unit. The first year for which you may claim depreciation is the first year you rent the property out. You may continue to claim the deduction annually until the total for all the years equals the cost of the rental. Among other expenses landlords can claim are the cost of advertising the rental unit, fitting it with appliances and fixtures, and paying utilities. Fees paid to tax preparers, legal advisers and property managers may also reduce your tax liability. Likewise, the taxes you pay on the property and interest debt you incur to maintain it are usually write-offs. HOA Brief: What Is a Capital Improvement?